A few weeks ago I spent some time imaging the three bright open clusters in Auriga. 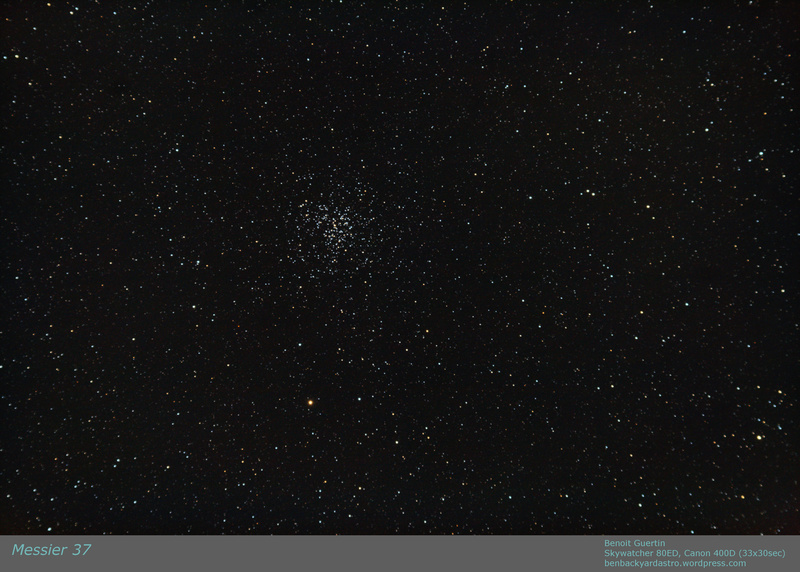 After Messier 36 and 38, I now bring you Messier 37. Surveys indicated the cluster contains about 1,500 solar masses and about 500 identified stars. As with M36 and M38 it is located about 4,500 light years from Earth. Large research telescopes often have too narrow field of view to capture open star clusters. This is where us backyard astronomers with our gear can shine.